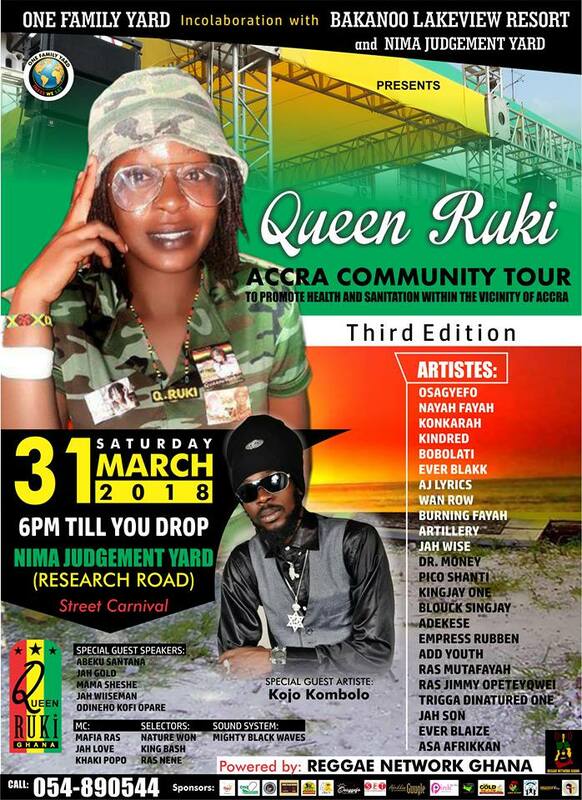 Ghanaian reggae songstress, Queen Ruki, takes her serial tour up to the third rung on the venue ladder. Her Accra Community Tour had its first and second successful stagings in Lapaz and New Town (respectively) last year, and this year's first stop (the third staging) is scheduled to take place in Nima on the Research Road. 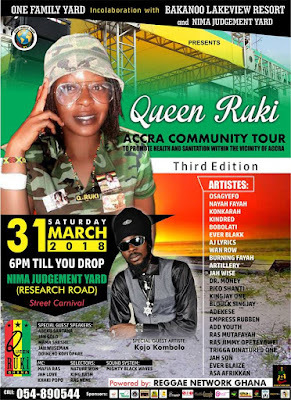 Slated for 31st March, Ruki's Nima Research Road tour concert will bring to the audience a mix of veteran and young artistes who are stepping the stage to support her. 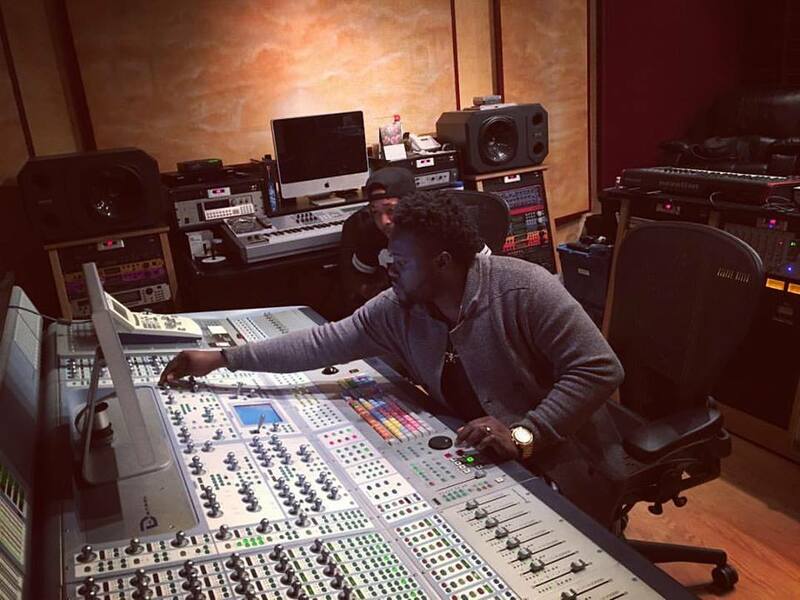 The mix is stirred wide with big name veterans like Osagyefo, Kojo Kombolo, Jahwyz, Konkarah and a tall stream of young reggae-dancehall heads like Wan Row, Add Youth, AJ Lyricx, Artillery, Ever Blaze, Asa Afrikkan, Pico Shanti, Empress Reuben, Ras Mutafaya, Trigga Dimatured One, Ras Jimmy, Fyah Kindred, Blouk Singjay and others officiallly not listed yet. As recorded about the previous Lapaz and New Town stops, the also all-night long Nima Research Road stop will start at 6pm and burn through til morning cracks. Queen Ruki's Accra Community Tour project is officially funded and supported by One Family Yard and Bakaano Lakeview resort.